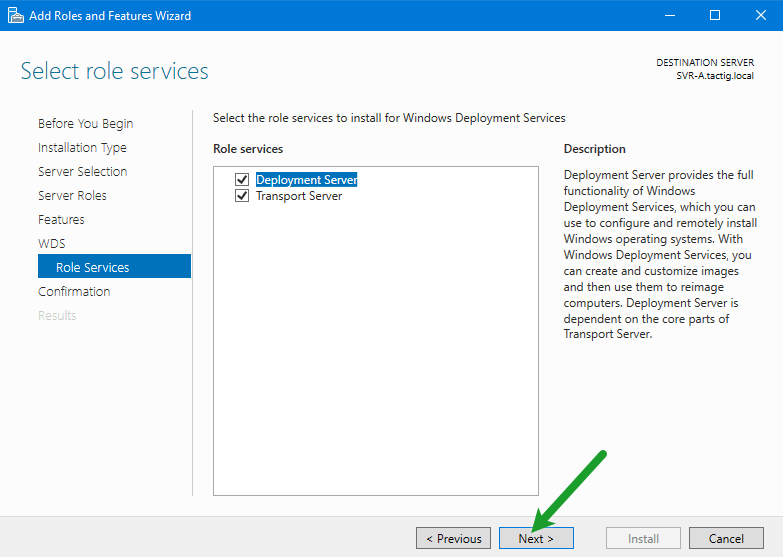 Windows Deployment Services(WDS) is the key of deploying automated-based installations of standard or custom images to servers in a network. WDS server store the installation files and help you to manage the boot and operating system files used in the network installations. Like capturing image firstly, then deploying them on client computers with all drivers and applications you need for your network. Update operating system, drivers and applications then take an image of the template computer. The computer you take capture image from is called template computer. 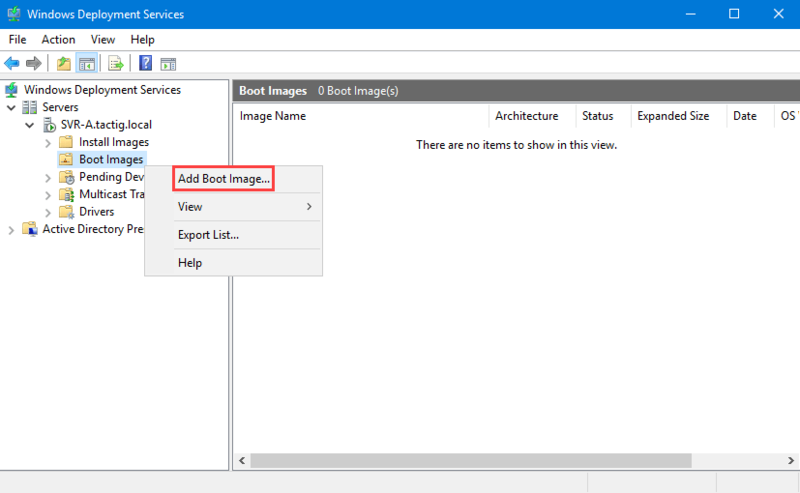 Sysprep is the tool that you can image through from a template computer and store the image on WDS server to deploy on WDS clients. WDS makes your life easy. You don’t need to move from one room to another room deploying operating system with needed softwares and drivers. Administrators can make schedule for deployment. Next day when you come and login to your computer, you see the new operating system installed. In addition, drivers and softwares have been installed. Bootable Flash memory: You can install operating system using bootable flash memory. When the flash memory is bootable, you copy all operating system files in, and plug the flash to computers. For the process you need lots of flash memories. Install Windows 7, 8, 8.1 or 10 remotely. 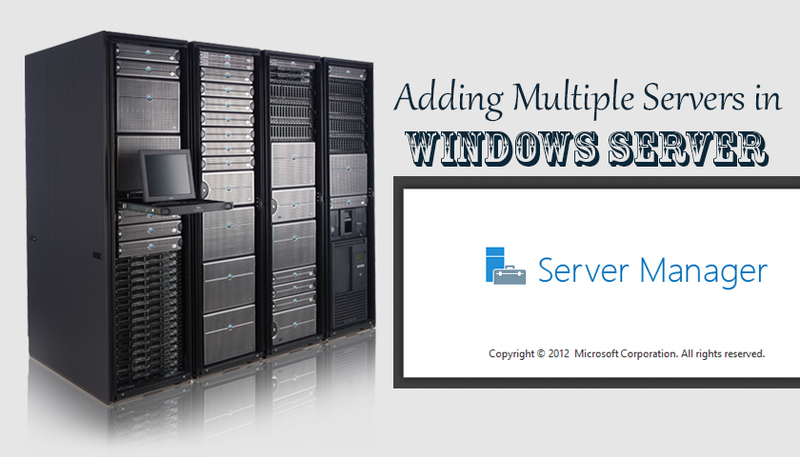 You can install Windows with needed softwares and drivers simultaneously. Install Windows on large number of computers at one time. 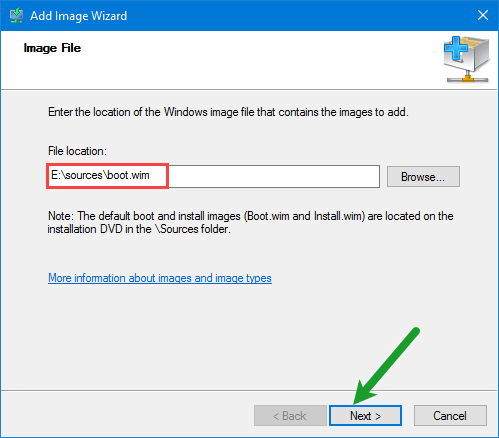 WDS uses four image: Install image, Boot image, Discover image and Capture image. The minimum of requirement is boot and install images. Install Image: It is the actual operating system. It is found in the operating system media\sources\install.wim. Boot Image: It is Windows PE image. You can find it the operating system media\sources\boot.wim. Discover Image: This image is used by WDS clients which don’t support PXE boot. 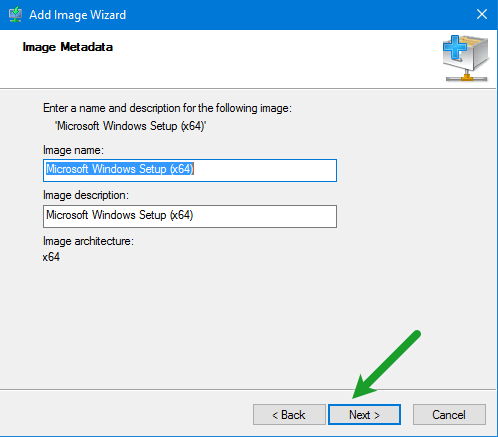 You create the image using boot.wim image from media file and Windows Assessment Tool Kit (ADK) to create a discover image. Capture Image: This image is custom install image. 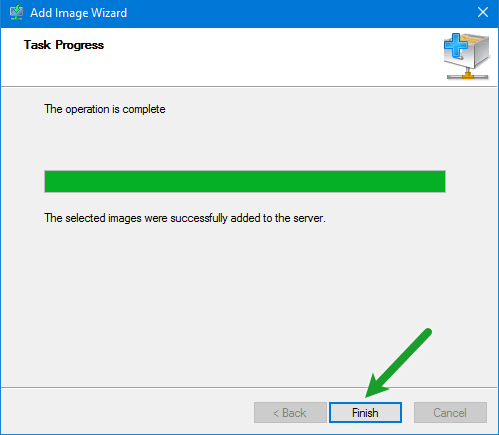 You capture the image from a template computer using Sysprep, and deploy the image on client computes. NTFS volume: The volume which contains images must be NTFS format. Credentials: Make sure that you have logged on with an account that have permissions to do this tasks. Undoubtedly the easiest way of installing a role is graphical interface. 1. First of all press the Start Menu button. 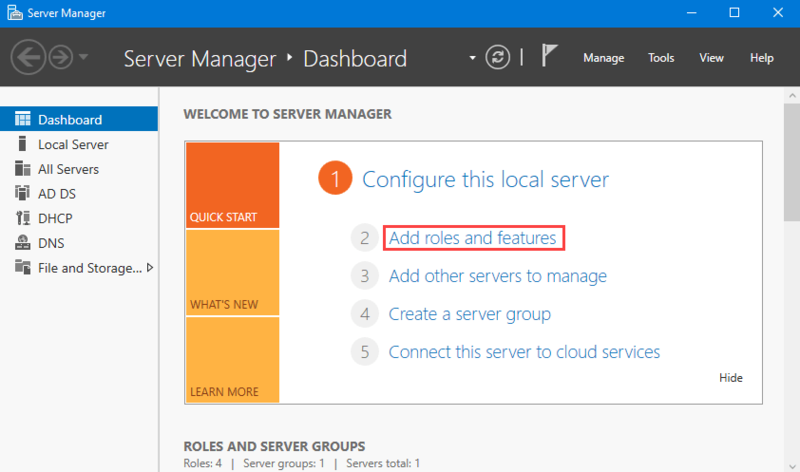 Then select the Server Manager. 2. 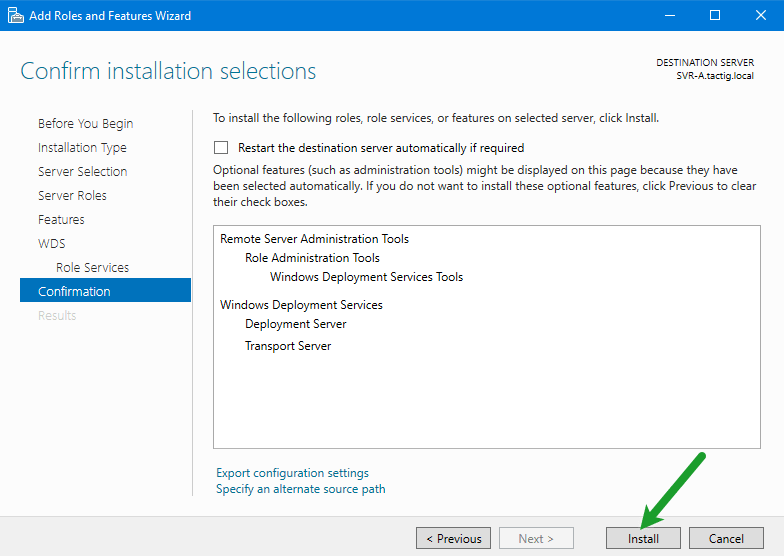 Click on Add roles and features for installing WDS role. 2. Skip the Before you begin page. Leave the Select a server from the server pool checked. From Server Pool select the server which you want to install the role on. Click on Next button. 3. 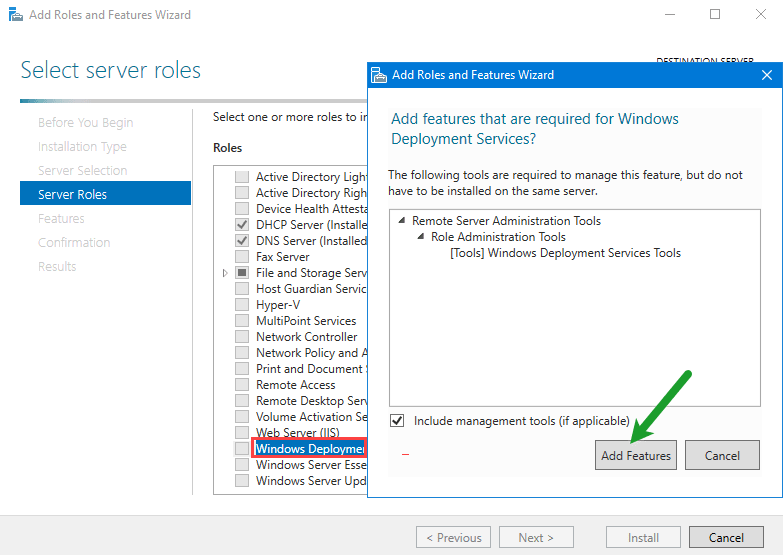 In the Select server roles page, select Windows Deployment Services. A windows pops up and asks you to add some features for management. Click on Add Features button then click on Next button. 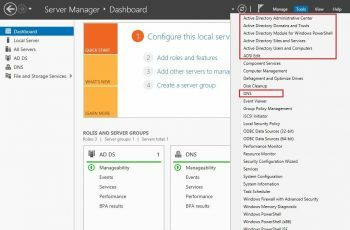 Deployment Server: It is the deployment server with management tools. Transport Server: It is WDS core service, but doesn’t include management tools. You need to use scripts for every task that you want to do. Therefor you need to select both of them. 5. In the Confirm installation selections page, click on Install button. No reboot is needed after the installation. PowerShell is a powerful tool in Windows Server 2016. You need to know how to use it. 1. 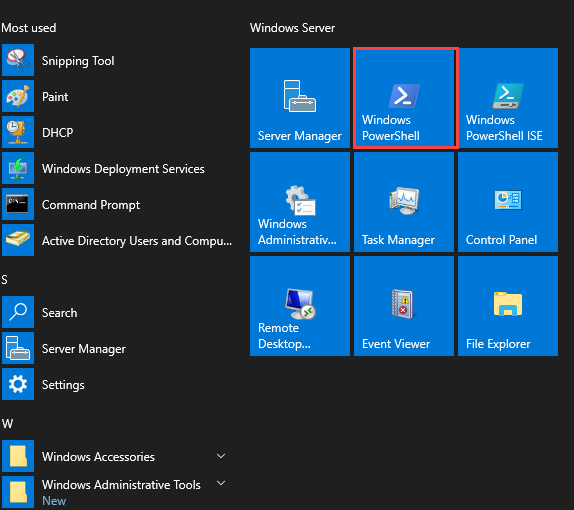 Press Windows button and select Windows PowerShell. Make sure you run PowerShell as an administrator. Right-click on and click Run as administrator. Also you can run PowerShell as an administrator with command. Open PowerShell as standard user and type this command to run it as an administrator: Start-Processs PowerShell.exe -Verb RunAS. Then press the Enter button. After -ComputerName parameter, type your server’s name. In my case it is SVR-A. Then press the Enter button. 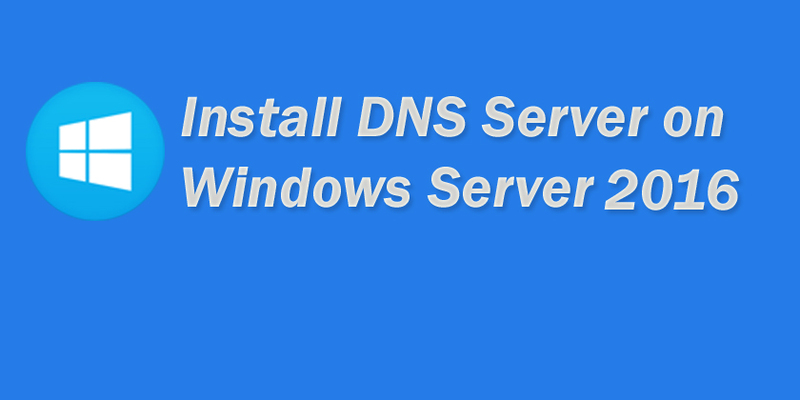 While WDS installed successfully on your server, the summary would be shown to you. Saying that role installed successfully and no reboot is needed. The -IncludeMnagementTools parameter installs the management tools. If you don’t type the parameter you won’t have the management tools. It means you just have installed the core services. Finally role was installed. We need to configure WDS server and use it across the network. 1. In Server Manger console, in the menu bar, click on the Tools. 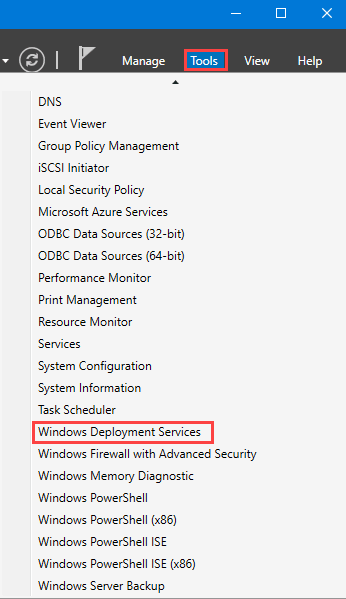 Then click on Windows Deployment Service. In addition, you can open it through Run. In the Run just type wdsmgmt.msc and press Enter button. 2. 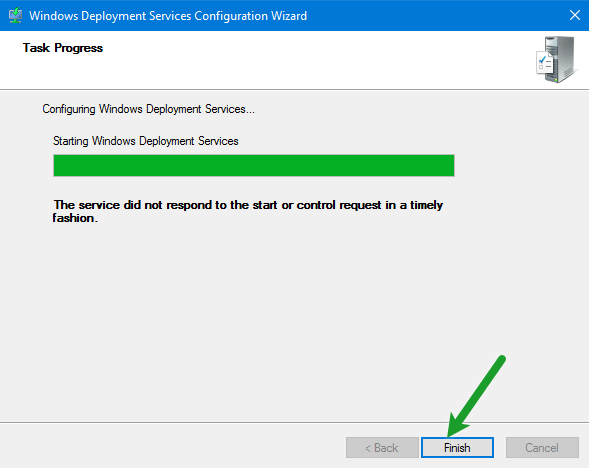 Windows Deployment Services console is opened. But the WDS server is not configured yet. 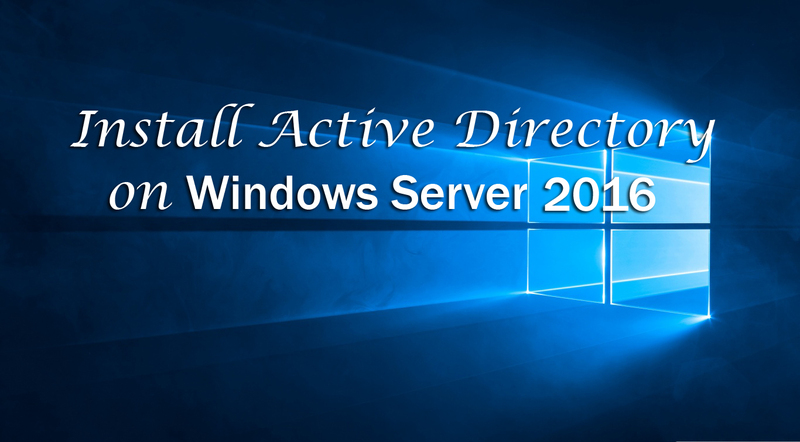 For the purpose, right-click WDS server below the Servers. 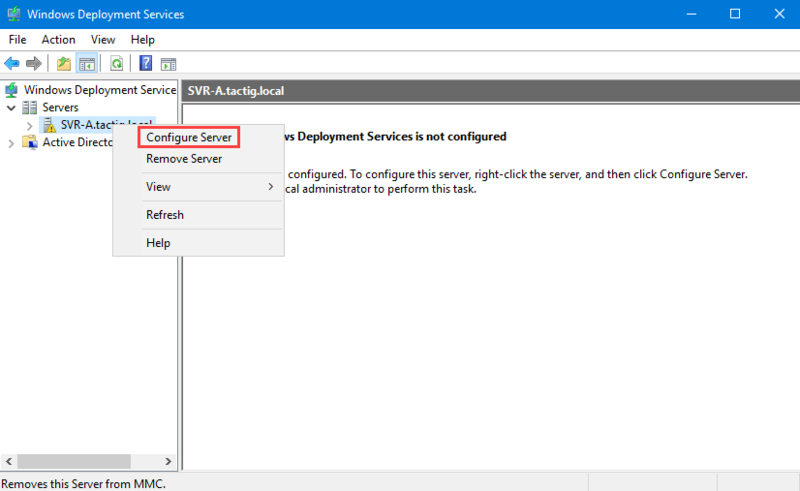 Select Configure Server. 3. In Install Options page two options are visible. 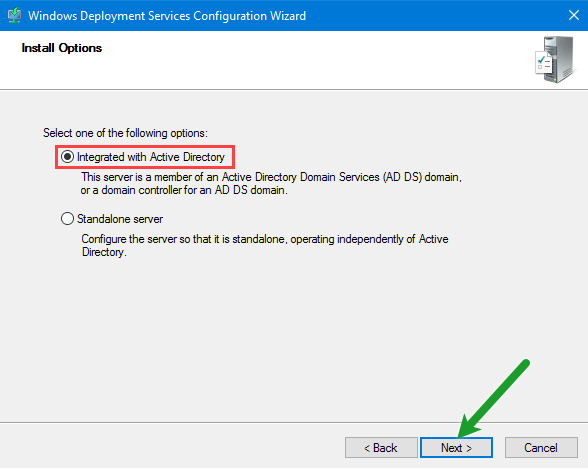 Select the Integrated with Active Directory option if your WDS server is a member of a domain. 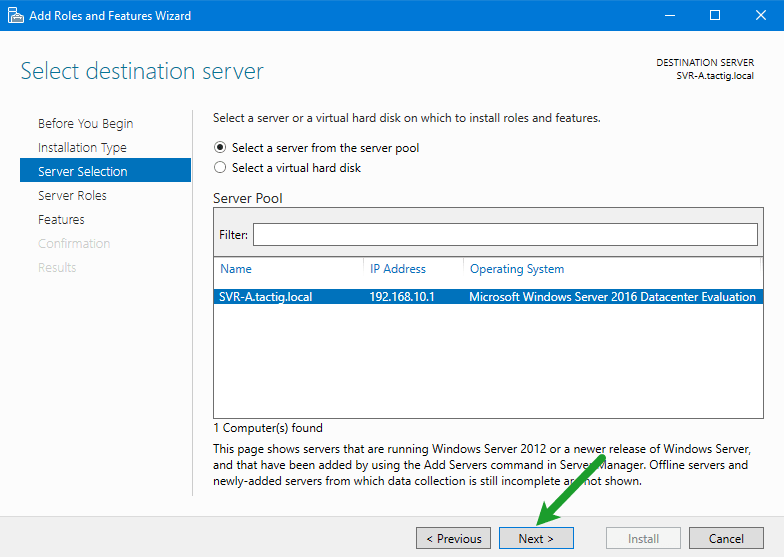 If it is standalone server, select the Standalone server option. Click on Next button. 4. 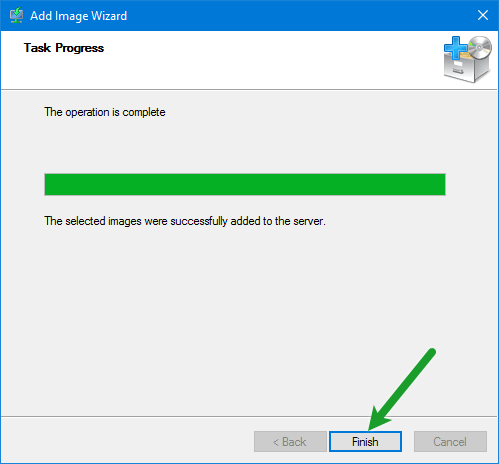 Select the folder in which you want to store WDS server files, like images and drivers. Click on Browse button and specify the path. Click on Next button. 5. 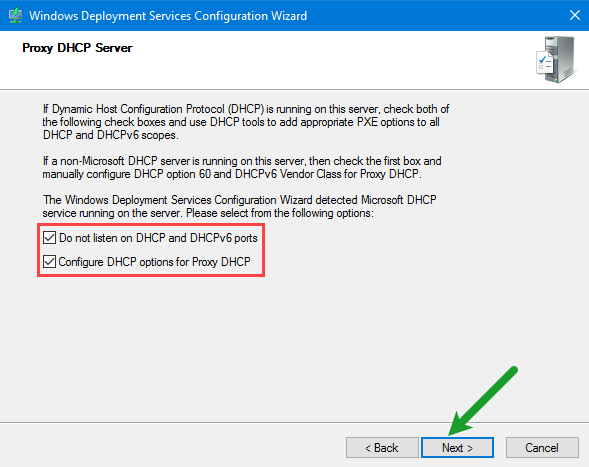 In the Proxy DHCP Server page, leave both Do not listen on DHCP and IPv6 ports and Configure DHCP options for Proxy DHCP options selected. Click on Next button. 6. 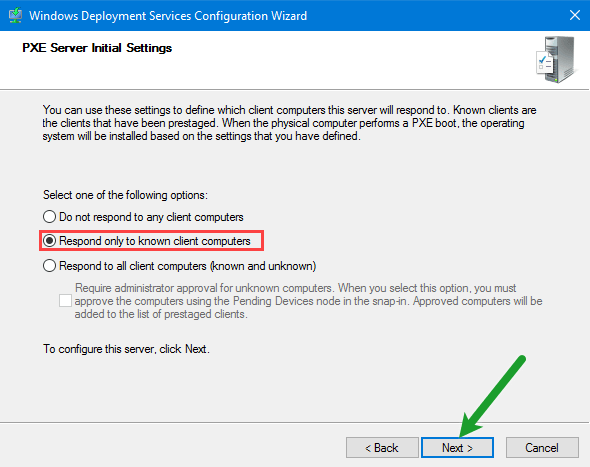 In PXE Server Initial Settings page, select Respond to known-client computers. This option is secure. Click on Next button. 7. Finally we are done. Below the green line we got a message which says that this serve still can’t respond WDS clients. Finish the wizard. 8. At the very end we can start the WDS server. WDS server is just configured not started. 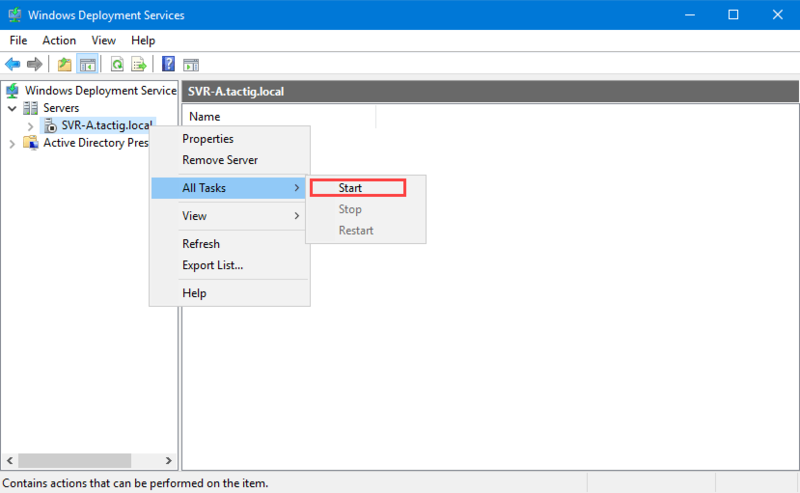 Right-click on WDS server which in my case is SVR-A, hover your mouse point on All Tasks, then click on Start. Soon after the WDS server would be started. 1. Before you add install image, create some groups for different operating system install images. 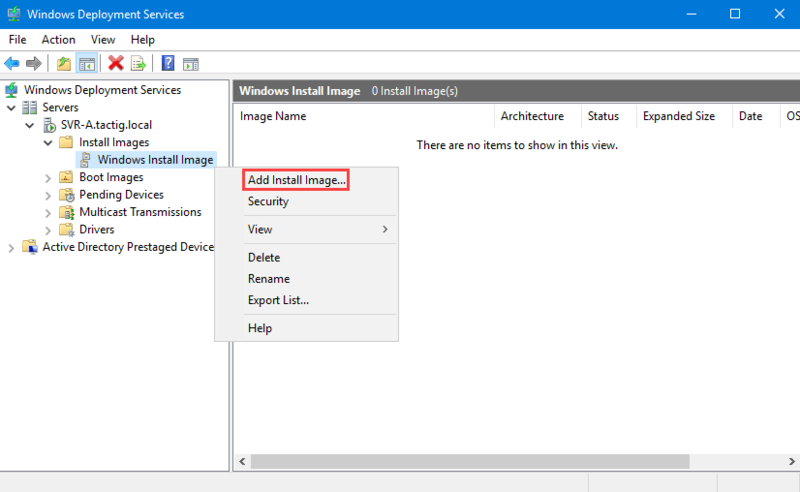 Before you add an install image, you need to an image group. You can easily manage your image in groups. Right-click on Install image. Click on Add Image group. A small windows opens, type name of the group inside and click on Ok button. 2. 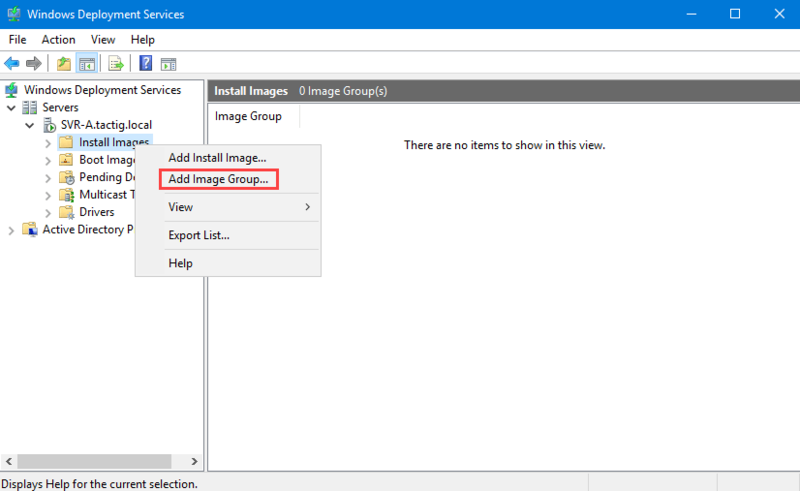 Now which groups are created, right-click on the group which you want to add install image in. 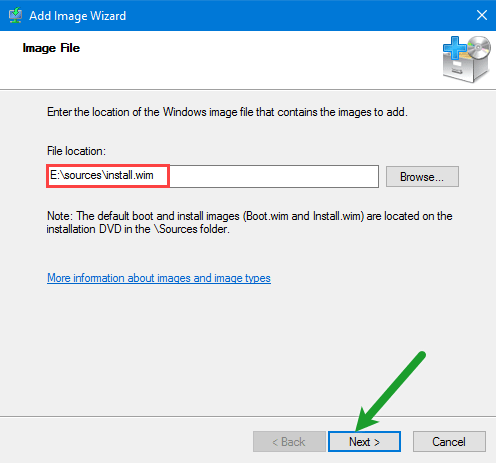 Select Add Install Image option. 3. Specify the path. The path is simple: Whatever is your file media letter:\sources\install.wim. In my case path is E:\sources\install.wim. Click on Next button. 4. 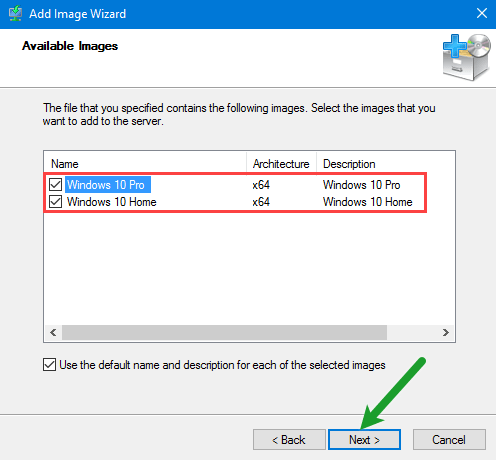 In the Available page of the wizard, select the install images that you need for your network. I need Windows 10 Pro for my network. While done, click on Next button. 5. It takes a while, when WDS server copies install.wim image from media file. At the end click on Finish button to close the wizard. 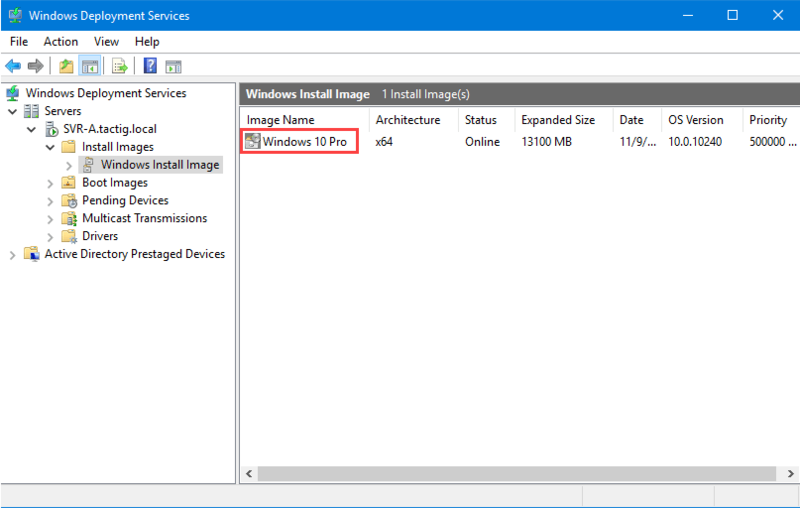 Windows 10 Pro Install image was added to WDS server. 1. Right-click on Boot Images and click on Add Boot Image. 2. Specify path of the file which contains the image. 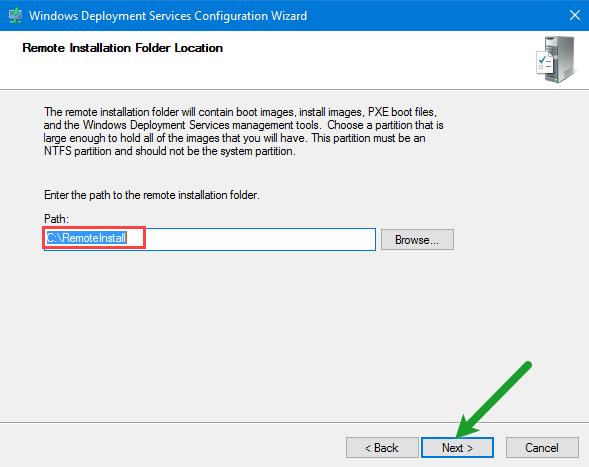 Install and boot images located in the same folder with Install image. Boot image path: media file:\sources\boot.wim. In my case path is E:\sources\install.wim. 3. Name the image. Select a friendly name for the image you can recognize. Click on Next button. 4. Image was added to the server. Finish the wizard by clicking on Finish button. 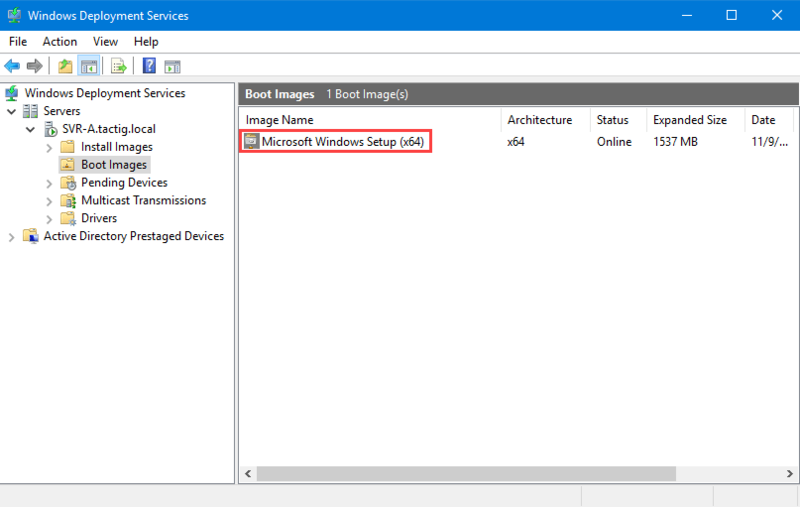 Microsoft Windows Setup (x64) Boot Image was added to WDS server. Finally we are done with WDS basic configurations. For any kind of question feel free end leave a comment below the post. Thank you for reading the post. 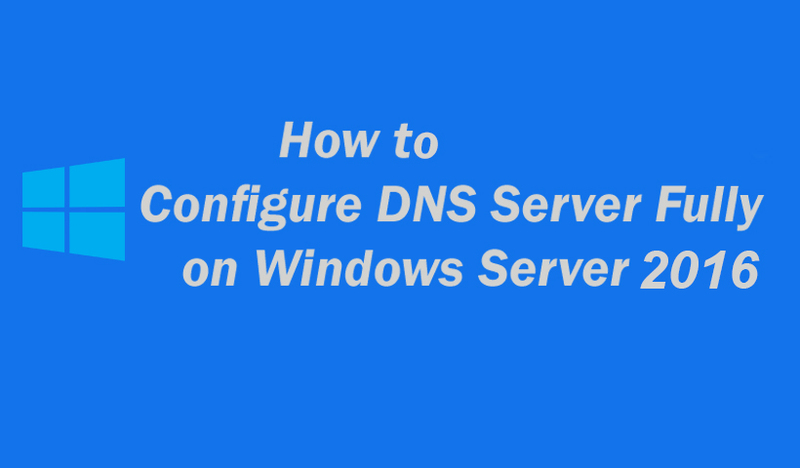 Configure DNS Server Zones Fully on Windows Server 2016?